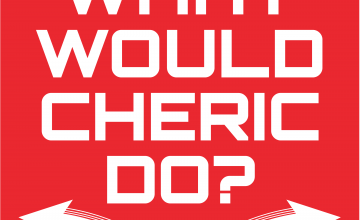 April | 2018 | What Would Cheric Do? The sinking of the Titanic was labeled as one of the deadliest maritime disasters in modern history. Cheric will relive this fateful night firsthand during this adventure. Will we be able to change the fate of the 2,000 souls aboard this vessel? Will we be able to solve a mystery involving our not-so-trusting caretaker? Will we be able to survive? You’ll have to listen to find out. Shall we play a game? Cheric wins a state of the art supercomputer as a prize in a coding contest. What is this computer capable of? Instant Riches? World Peace? The answer the the ultimate question? The options are endless. Eric tries to change things up. Chad releases his inner-ginger. Cheric learns the true definition of the word supercomputer.